Your patient may fill out a participant contact form requesting a member of the study team to contact them. 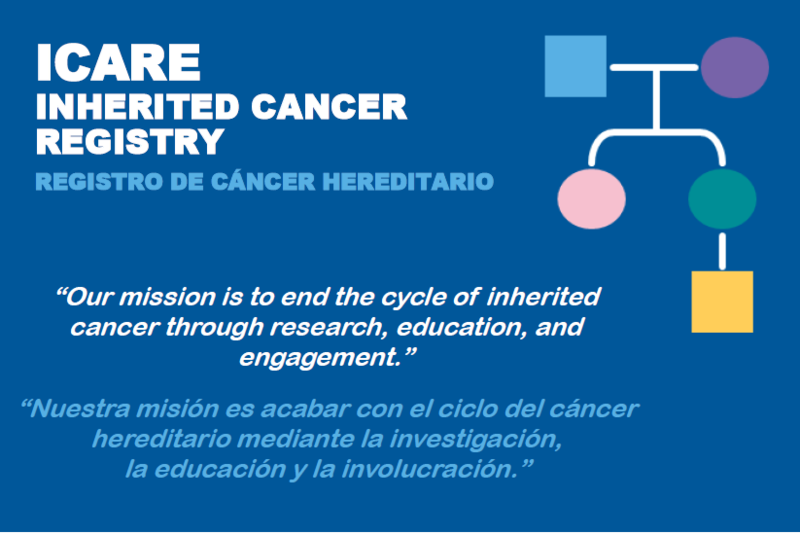 Email your patient’s contact information to the study team (ICARE@InheritedCancer.net) via secure data transfer. Please include the patient’s name, gender, DOB, mailing address, phone number and/or email address, and preferred method of contact. 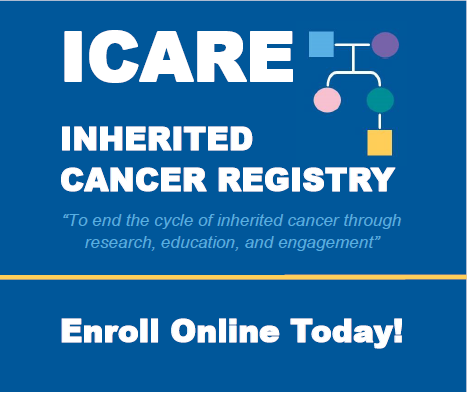 Provide your patient with an online enrollment card directing them to our website where they may enroll into ICARE directly online. Have your patient fill out a prepaid provider postcard and drop it in the mail. If your institution needs additional recruitment materials, please fill out a materials request form. If you have questions regarding recruitment and would like a member of the study team to contact you, please fill out a provider contact form.